Twelve-year-old Sigrid is finding out that stopping being a bully is much harder than starting. Hanging out with the town bad girls, Tate and Mel, seemed to be her best option when her best friend moved away. 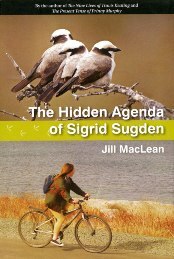 Their meanness was a good fit for the way Sigrid was feeling. Now they have gone too far and Sigrid wants her life back but no one wants to give a bully a second chance. In her quest to make things right she discovers that everyone has secrets and nothing is as simple as it seems. i haven’t finished this book yet but so far it’s a very good book! This book is the worst book I have ever read. If I had to reted I would give it half of a star.